Transport for NSW is defending its new train timetable despite an outrageous flaw that will force hundreds if not thousands of commuters into longer trips during the morning and afternoon peak. From November 26, express trains on the Blue Mountains Line will no longer stop at Redfern. Commuters boarding trains at Penrith to travel to Redfern, which is becoming a major employment precinct, will have to change trains at Parramatta or travel to Central and double back to their destination. It is a ludicrous failing of the new timetable and will see commuters add at least five minutes per day to their already gruelling train trip. Based on the current Sydney Trains timetable, a commuter travelling from Penrith to Redfern using a Blue Mountains express service can expect a 45 minute trip. Under the new timetable, it will take at least 50 minutes. Most commuters will probably catch a Western Line suburban service, adding some 15 minutes to their current journey to Redfern. Redfern is now a major station on the Sydney Trains network and the area has attracted tens of thousands of jobs, with companies such as Channel Seven based there and the Commonwealth Bank in the process of building a major new site that will see many employees travelling from the western suburbs. The bank estimates it will house some 10,000 employees at the new office. 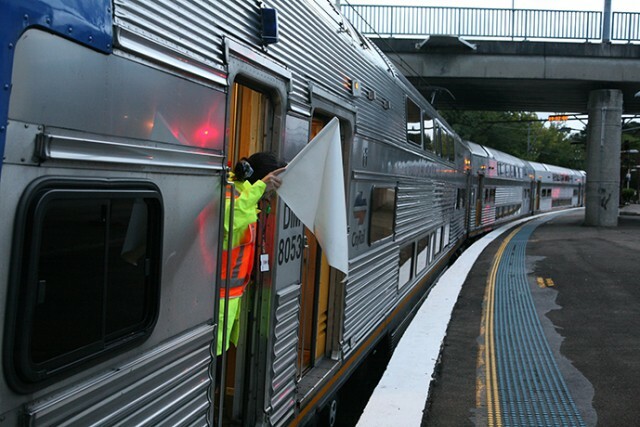 The afternoon trip will also be impacted, with commuters boarding a train at Redfern forced to change at Strathfield to connect with an express Blue Mountains Line service. Penrith MP Stuart Ayres is being urged to intervene or face a possible backlash from commuters at the 2019 State Election. “It is unacceptable that the latest timetable change will remove Redfern Station from the Blue Mountains Line,” said Londonderry MP Prue Car. “This will cause significant disruption for people getting to and from work and for students who attend Sydney University. Mr Ayres said timetables would continue to evolve over time. “Train timetables will continue to be updated as new Metro services are integrated into the network,” he said. A Transport for NSW Spokesperson essentially claimed removing Redfern from the Blue Mountains Line was a win because commuters travelling to Central would be happier. “It’s an evidence-based approach, considering factors like customer feedback and opal data which shows us where and when our customers are travelling,” a spokesperson said. A comparison of timetables shows it will take commuters longer to travel from Penrith to Central from November 26, regardless of which train they catch.